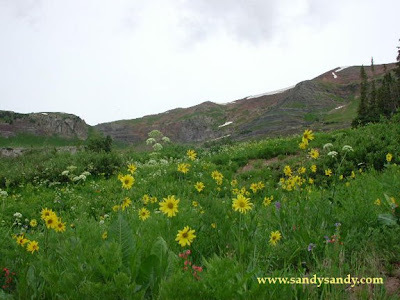 Sally told me that these mountain sunflowers always face south. I know it wasn't there when I took the picture, but do you see the bear that I see? 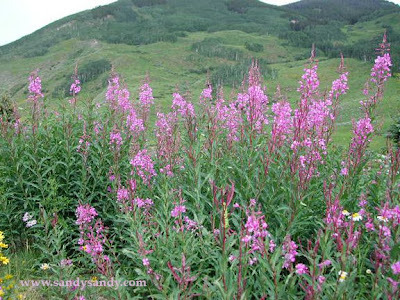 The Fireweed was plentiful in some areas. Another name for this wildflower is "Blooming Sally"! 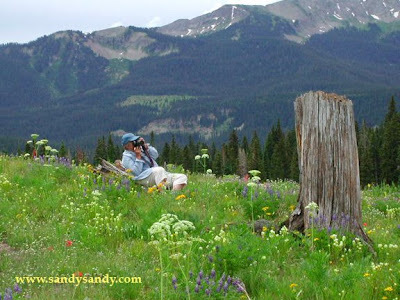 Sally takes another low angle shot in a high mountain meadow. 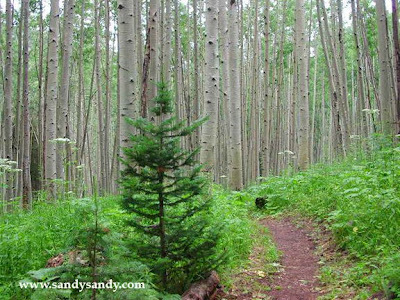 See more of Colorado in "Older Posts".